With Christmas around the corner, why not spoil the wife, girlfriend or mum in your life with organic and cruelty free Australian skincare? Blessed by Nature is a local Australian brand based out of Melbourne that offers you natural, organic and ethical skincare that are free from nasties so that the females in your life beam with nourished and hydrated skin that also cares for our environment. Best of all, all products are affordable to ensure that you are not breaking the bank this holiday! With Kaolin, Macadamia, Cucumber, Jojoba, Cocoa and Vitamin E. This masque uses a unique blend of natural oils and antioxidants that help purify and revive your skin. Its almost like a deeper, longer lasting, more beneficial form of cleansing. Your skin will look and feel more energised, natural in tone and revive a healthy radiance and glow. RRP: $14.90. 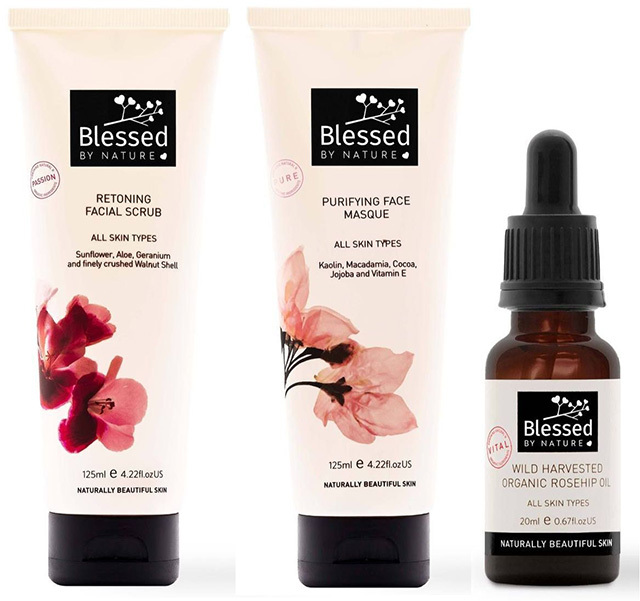 The Blessed By Nature range is available at Priceline and other selected pharmacies, or online from Priceline and www.blessedbynature.com.au.